Social services had no prior contact with a mother accused of murdering two of her children and severely injuring her two other children in an attempted exorcism. WASHINGTON – Social services had no prior contact with a mother accused of murdering two of her children and severely injuring her two other children in an attempted exorcism. Agnes Leshner, director of Child Welfare Services in Montgomery County, says her department had never gotten a call about 28-year-old Zakieya Avery, who was arrested and charged in the deaths of her children last week. Thursday night was the first time social services got a call, and that was for a child who had been left in a car, but taken back inside Avery’s home. Police reported no suspicious activity. But Leshner says, a staffer was scheduled to go to the home the next morning. “If we had previous history, that would definitely make us go out much faster,” she says. Instead police were called to the home Friday morning and discovered a bloody scene in a bedroom where the children were found. Avery and 21-year-old Monifa Denise Sanford will remain held without bond and have psychiatric evaluations to determine if they are competent to stand trial, a judge said Tuesday. The women identified themselves as members of a group called “Demon Assassins.” Police say the women formed the group while they were members of Exousia Ministries. Joyce issued a statement to WTOP saying the women were no longer members of his congregation at the time of the killing. “Our church does not in any way promote or condone these horrible acts nor the act of exorcism in any way, shape, or form. Our thoughts and prayers are continually with the deceased and injured children and their families,” the statement read. The women have told investigators that they believed evil spirits moved successively between the bodies of the children and that an exorcism was needed to drive the demons out, said Montgomery County State’s Attorney John McCarthy. The women also reported seeing the eyes of each of the children blackening and after the intended exorcism took a shower, cleaned up the scene and “prepared the children to see God,” he said. 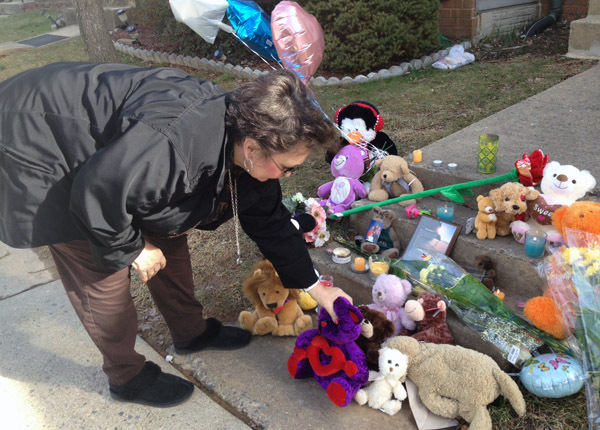 Avery and Sanford face charges of first- degree murder in the deaths of two of Avery’s children, ages 1 and 2. Two older siblings were also found injured with stab wounds and might have died had a neighbor not called 911, police said. The women face a possible life sentence if convicted. WTOP’s Kate Ryan and The Associated Press contributed to this report. Follow @WTOP on Twitter.